2018 was one of my most fulfilling years at FCS. 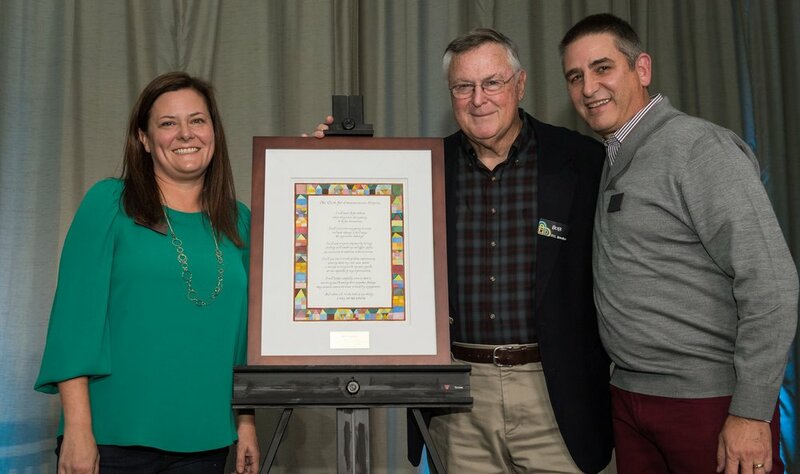 Our 40th Anniversary celebration topped off the year and set the stage for 2019. Seeing so many faces, the hands that have built FCS in one place, was a special moment. Such moments continue to fuel my soul as I think about the coming year. Maybe you have read the CS Lewis quote, “there are far, far better things ahead than any you leave behind.” Knowing CS Lewis, I cannot help but think that this quote hearkened to the future of redemption that was integral to his faith. Yet, at the same time, this quote encourages me to imagine better things lie ahead for FCS in the tangible, seen sense. Surely, we have faith that even greater things are on their way. Forty years of focused work have certainly taught us a few hard-won lessons. One of those lessons our founder, Bob Lupton, handed down has become more and more solidified.More than ever, we are convinced that poverty is intimately connected to community. Therefore, our answers to solving poverty work best when they are also attached to community. This understanding fuels our passion for strong, healthy, neighborhood-based ministry. I am glad we get the clean slate of a new year to reset our vision and goals for the task at hand. This year, we’re pursuing an equitable, mixed-income community-- a kind of community that is unusual in our city. We have plans for creating more units of affordable housing. We plan to build on the success of community-oriented businesses like Caver Market and Community Grounds Coffee Shop. We remain committed to the work of entrepreneur training, food co-ops, and youth development. But the foundation of all this work is the opportunity to embrace our neighbors as the agent of change in a neighborhood. While many of our ideas about community development have changed over the years, we’re even more confident that the best way to transform neighborhoods is living and loving together. I hope 2019 provides the opportunity for you to join with us in our mission. There is so much to do! But I hope the core motivation of our partnership remains connected to the Great Command to love God with all of our hearts and to love our neighbor as ourselves as we keep our eyes set on the future, heavenly block party.